Previously on the $10K Drag Shootout, the teams squared off to see who could make plug wires the quickest during the E3 Spark Plug Wire Challenge for an extra $250 towards their build, a PRW harmonic balancer, and engine test stand. As the clock winds down on the build portion of the $10K Drag Shootout all of the teams are focused on getting their builds completed. Team Bigun came into the competition with a cool demeanor and sense of purpose that has carried them through both good times and bad. 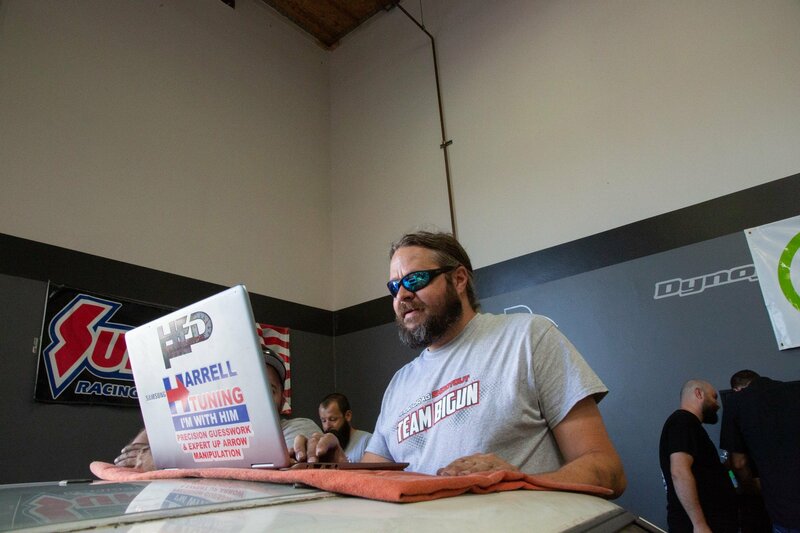 They were the first team to get their car fired up to meet their goal of being the very first team on the dyno. The Dream Team may not have ever worked together before as a unit, but they were able to overcome adversity to keep their build on track. This team came into the $10K Drag Shootout build with a plan for their build and executed it with military precision. Their divide and conquer strategy allowed them to work on different portions of the car based on a team members’ ability. 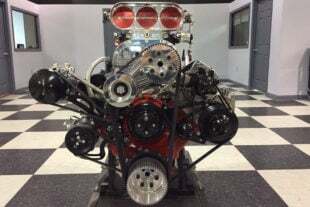 By grinding through all areas of the build they were able to get their boosted LSX engine into place, button everything up, and become the second team to have fire in the pipes. Team Boddie has needed to make adjustments to their build plan multiple times over the course of the $10K Drag Shootout and that has cost them a lot of time. They’ve run into a myriad of issues from parts not fitting correctly to a controversy surrounding their cylinder heads. Facing these obstacles haven’t deterred Team Boddie one bit and they continued to push through the build at a steady pace. Coming into the final days of the build their Regal still hasn’t been fired yet and time isn’t their ally to complete the car. The $10K Drag Shootout may seem like it would be easy from the outside, but when the actual competition begins the curveballs come at you fast as Team Stinky Pinky has found out. Not getting the car they planned for set them back from the beginning and that has led to constant struggles for the team. Their Camaro has fought them from the second they rolled it into the shop and internal disagreements have also pushed the team to the breaking point. Even with such big odds against them, Team Stinky Pinky continued to push forward and come together so their car will be ready for the Shakedown At The Summit. If you were going to train for the $10K Drag Shootout like a traditional sport you would need to treat it like a grueling marathon in your approach. The entire build process has been taxing both physically and mentally for these teams as they pushed forward with their builds. Every person participating in the builds of these cars has accepted the grind and wants to prove they have what it takes to finish such a challenging task. Dealing with the heat is something that every team has had to account for as the build portion winds down. Temperatures during the last week hovered well above the 100-degree mark outside and that caused the shop to feel like an automotive oven inside. When things get that hot every little task becomes more challenging since it seems to require more energy and can lead to heightened tensions when something isn’t going right. If the heat wasn’t bad enough, the teams had to spend 12 hour days in the shop during the first eight days of the build. The final two days were 16 hours each and that might seem like a lot, however when the punch-out list for the build is extensive every second you can spend working is critical. Utilizing every opportunity possible inside the shop can be the difference between getting a build done and having a car that isn’t ready for the Shakedown At The Summit to race for $10,000. 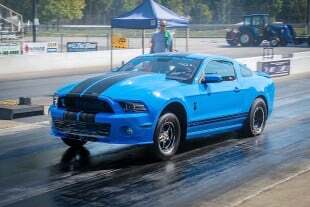 The $10K Drag Shootout provides some difficult waters to navigate for a build with a limited budget, tight timeframe, long hours, and difficult conditions. To make it through this exhausting challenge a team has to be able to push through the punishing conditions by staying on task. Having a professional-level skill set is a must to survive the rigorous 10 days in the shop. This challenge isn’t for the average enthusiast and demonstrates just how talented every one of these teams is when it comes to their ability to create a high-performance machine. Building on a budget isn’t a new concept for just about every racer on the planet, however, when you are limited on time it puts a great emphasis on how you stretch those dollars. The goal of making the fastest car for just $10,000 forced teams to become very creative with how they approached the build. Buying parts off the shelf is the preferred way to attack a project, but when every penny counts that isn’t always an option. Team Stinky Pinky and Team Boddie found ways to maximize their budgets by building suspension parts, while Team Bigun resorted to using a water cooler to keep their engine in the desired operating temperature range. Even after they got their big-block Chevy settled into place and had some momentum, trouble struck again. As the team tried to fire their car for the first time the starter failed, and since they were very tight on money it was a challenge to get one that would fit. After the new starter was bolted in, Team Stinky Pinky still couldn’t get their engine to fire. The team thought it was a timing issue, ignition issue, and even a fueling issue causing their latest problem. After trying everything possible to remedy the issue, Dean discovered that the carburetor wasn’t opening enough to let the engine idle, and after a quick adjustment, the Camaro roared to life. To help all the teams be as prepared as possible for their races at the Shakedown At The Summit they all had the opportunity to get some dyno time in with their cars. Getting the cars done to make their dyno time slot became a challenge as the days wound down during the build portion of the $10K Drag Shootout. After the dyno times were set, it became very apparent to every team that the end was near and wasting any time wasn’t an option anymore. Team Bigun demonstrated they were ultra-prepared for the $10K Drag Shootout and executed their plan to the letter. They were the first to get their Mustang to run and were able to stay on schedule for the entire build during the 10 days. It’s not surprising that when the opportunity to go first once the dyno became available their “Beer Money” Mustang made the call. Both Team Bigun and the Dream Team are the only teams in the Drag Shootout to use EFI as part of their combinations. Team Bigun decided to take their choice of ECU to the next level. 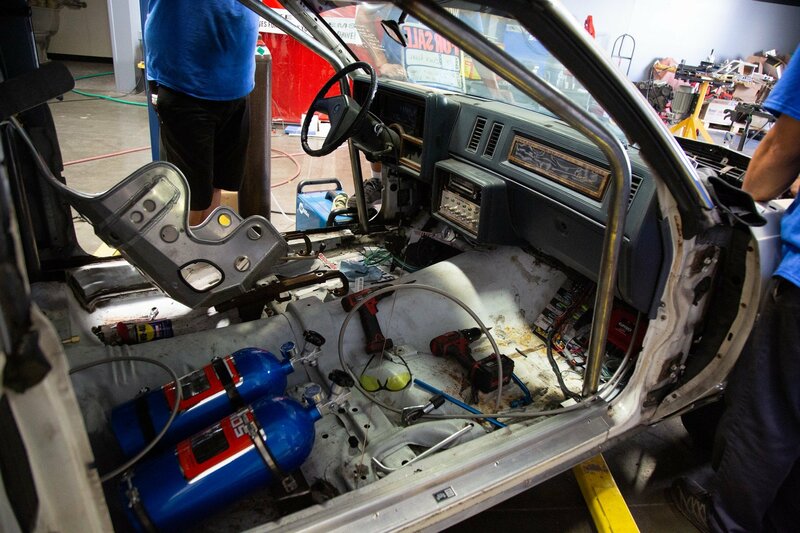 Instead of using a stock ECU like The Dream Team, Team Bigun went with a Holley HP EFI ECU & Harness Kit (PN 550-602) to control their engine (including the turbo and nitrous system). This might have been a large expense for the team’s budget, however, the Holley system will give them more precise control over the engine’s functions and allow them to push Beer Money even harder at the track. The Dream Team kept up with Team Bigun nearly stride for stride as each worked on preparing their cars. While both teams used turbo LSX-based combinations for their cars, the Dream Team approached the build differently in many areas. Their scramble to make some dyno pulls was slightly more intense than they would have liked, but their Mustang was still able to hit the rollers on time and provide them with some data to help get a baseline tune for the Shakedown At The Summit. Adversity was the best friend of Team Stinky Pinky as they built their “Dr. Rod Knocker” Camaro, but they never once gave up. Blasting through every challenge they encountered the team was able to get some fire in the pipes and seemed ready to make dyno pulls, but then their luck changed yet again. During their first attempt at making a pull, there was a miscommunication that led to no data being recorded. This was a problem since the team had no idea where they were at with the tune-up on the car. In the end, Team Stinky Pinky was able to make one dyno pull to make sure their Camaro was track-worthy. After their final, and last-second dyno pull, Team Stinky Pinky breathed a sigh of relief knowing the car was ready. Team Boddie was the only $10K Drag Shootout team to not make any pulls on the dyno, but it wasn’t because of a lack of effort. On the final two days of the build Team Boddie used every second they could to put work into their Buick Regal, but just ran out of time to spin the rollers before the clock struck midnight on Saturday. Besides not being able to make any pulls on the dyno, Team Boddie has another, and possibly a more serious, problem on their hands. While the team was testing their car to make sure the engine ran they discovered an issue in their driveline; the Regal would only move while in reverse. With time running out, the team went all-in on a last ditch effort to see what the problem was. 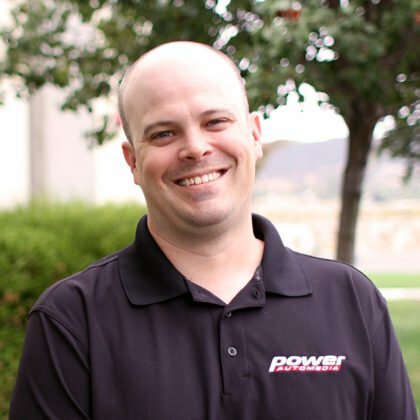 Even after their hero-level effort, Team Boddie ran out of time and will now have to address the transmission issue at Summit Motorsports Park during the Shakedown. The $10K Drag Shootout teams will be using VP Racing Fuels C16 as the spec fuel for the competition. This puts all of the teams on a level playing field with what fuel they used and would push their ability to build an engine, as well. 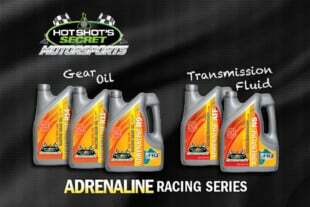 The C16 fuel provided teams with plenty of octane to make big power (117 MON to be exact). While C16 will support up to 17:1 compression, clearly some combinations respond better to leaded gasoline while others are more suited to M1 or C85. We’ll see who chose their combinations wisely as it unfolds in Norwalk. Using a roots-blown big-block Chevy combination on gas requires the right amount of fire in the pipes, so Team Stinky Pinky took advantage of all the E3 products at their disposal. The brains behind their ignition system is the E3 DiamondFIRE 6CDI digital ignition box (PN E3.1440) that commands 135mJ of spark energy from the E3 DiamondFIRE coil (PN E3.1451) capable of 42,000 volts) and matching Chevy V8 Racing distributor (PN E3.1415) they selected. Lighting all of the VP Racing Fuels C16 inside the big Chevy’s cylinders is a full set of E3 spark plugs and wires. Having a budget of just $10,000 provided by Summit Racing Equipment required each team to be very particular about how they approached their 10-day build. Being able to use every dollar strategically would provide an advantage and allow for money to be spent on the most important parts of the build. Here’s a breakdown of how much each team has left coming into the Shakedown At The Summit. *Team Bigun won an extra $250 during the E3 Spark Plug Wire Challenge for their budget. Now that all of the teams have completed their cars on time and under budget there’s only one thing left to do: see who really built the fastest car. Every competitor in the $10K Drag Shootout will make the journey to Summit Motorsports Park to be a part of the Shakedown At The Summit 16. Each team will get four shots at the track to lay down their best time and then on Sunday they will be paired up to race until the fastest car is left. 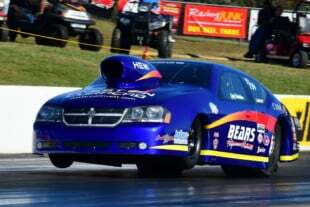 With $10,000 and the car going to the winning team, you’ll want to be at Summit Motorsports Park to experience the action in person, or you can watch it all LIVE on SpeedVideo.com. How would you like to own one of the cars from the $10K Drag Shootout? There are two ways you can win one of the cars that was built on the show and be a part of Horsepower Wars. You can enter the giveaway online by visiting www.horsepowerwars.com/giveaway and entering your information. You can also enter the contest in-person during the Shakedown At The Summit September 14-16 at Summit Motorsports Park. No purchase is necessary. The Horsepower Wars $10K Drag Shootout is comprised of four teams who have been given $10,000 — $3,000 in cash and $7,000 in Summit Racing Equipment gift cards — to build the quickest and fastest drag car possible. 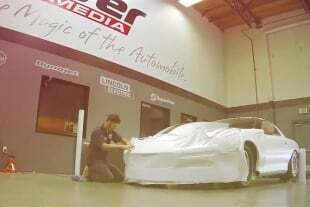 Once complete, they’ll race in front of a live audience at the Shakedown at the Summit in Norwalk, Ohio to see who keeps their car (and a $10,000 winner’s prize) and who goes home empty-handed. The $10K Drag Shootout has been made possible by some of the leading companies in our industry, including Royal Purple, Comp Cams, TCI Transmissions, Mickey Thompson Performance Tires & Wheels, E3 Spark Plugs, Fragola, Holley, Diablosport, Mahle Motorsports, Dyna-Batt, ProCharger, Weld Racing, ARP, BMR Suspension, QA1, PRW, Covercraft, and of course, Summit Racing.